ENGLEWOOD CLIFFS, N.J., April 17, 2019 /PRNewswire/ -- Far too often, guys are constrained by old-fashioned male stereotypes, like men should always be tough and never cry. AXE believes that guys deserve to live without these external pressures and be able to express all their unique traits, quirks and features. 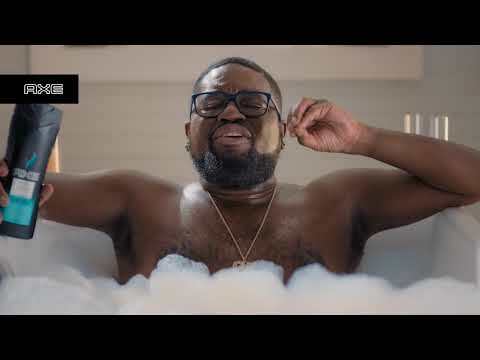 As a grooming brand, AXE wants to inspire young guys to be whoever they want to be – and have fun doing it – by showing that there is no one way to be a man. 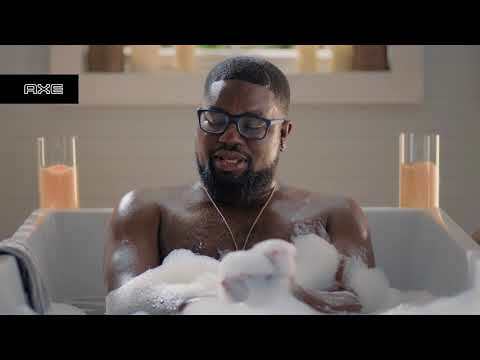 To help spread the word, AXE has teamed up with hilarious actor and comedian Lil Rel Howery of Get Out, Birdbox & Uncle Drew explosive fame to encourage guys to embrace their own brand of Bathsculinity through its latest series of spots, available on YouTube. 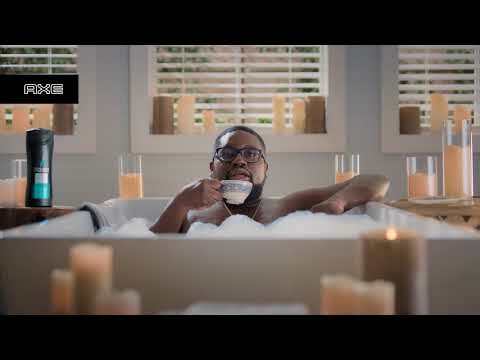 AXE has also enlisted additional partners to challenge guys to explore their own self-care and share their 'bathsculine' moments on social media with #AXE and #Bathsculinity. "Growing up, I definitely felt the constraints and effects of society's expectations of men," Howery said. 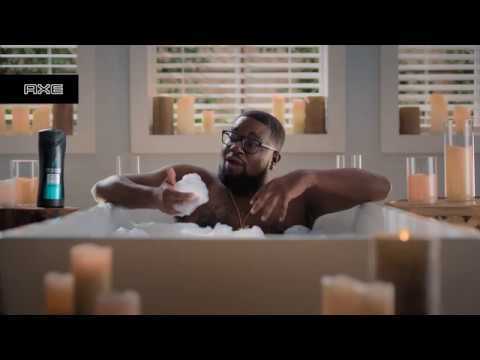 "That negativity is actually one of the reasons I turned to comedy in the first place, and why I'm so excited to be partnering with AXE to help guys move away from traditional masculinity and explore their bathsculinity." Bathsculinity is an extension of the work AXE has done over the past few years with the message that "there's no one way to be a man". This started with the publication of The Man Box research in 2017 which revealed that 72% of men have been told that real men should behave a certain way*. This month, AXE and Promundo built upon The Man Box study to identify the economic impact of harmful masculine stereotypes through the new The Cost of the Man Box research, which found that dated stereotypes of what it means to be a man, and the behaviors they lead to, are costing the US economy at least $15.7 billion annually. ** These costs were calculated based upon six key behaviors and public data, estimating how these costs would be reduced if the Man Box was not a factor. 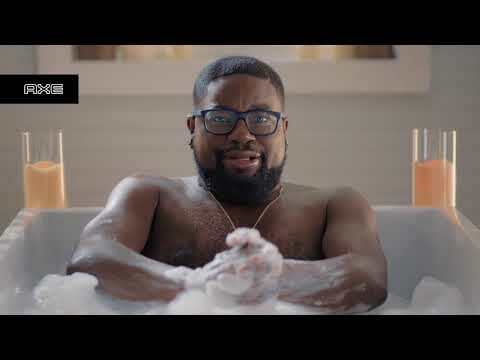 "AXE continues to break the barriers of masculine stereotypes each year by partnering with great organizations and individuals who support this mission," said Dawn Hedgepeth, General Manager and Vice President of Unilever Deodorants, Men's Grooming and Hand and Body Lotion. "It is our hope that the Bathsculinity mindset will encourage guys everywhere to embrace self-care and self-confidence in every aspect of life." AXE, the No. 1 men's fragrance brand in the world*, champions individuality and self-expression by encouraging guys to embrace their personal style. With a full line of grooming products including daily fragrance sprays, deodorants, anti-perspirants, shower gels, shampoos and styling products, AXE gives guys the tools to express what makes them unique, authentic and ultimately attractive to the world around them. Visit AXE at AXE.com and follow us on Twitter, Instagram, Tumblr, and Facebook to get access to exclusive content, special promotions, and more. Unilever is one of the world's leading suppliers of Beauty & Personal Care, Home Care, and Foods & Refreshment products with sales in over 190 countries and reaching 2.5 billion consumers a day. In the United States, the portfolio includes brand icons such as Axe, Ben & Jerry's, Breyers, Caress, Degree, Dollar Shave Club, Dove, Good Humor, Hellmann's, Klondike, Knorr, Lever 2000, Lipton, Love Beauty and Planet, Magnum, Nexxus, Noxzema, Pond's, Popsicle, Pure Leaf, Q-tips, Schmidt's Naturals, Seventh Generation, Simple, Sir Kensington's, St. Ives, Suave, Sundial Brands, Talenti Gelato & Sorbetto, TAZO, TIGI, TONI&GUY, TRESemmé and Vaseline. All of the preceding brand names are trademarks or registered trademarks of the Unilever Group of Companies. The USLP creates value by driving growth and trust, eliminating costs and reducing risks. Globally, the company's sustainable living brands grew 46% faster than the rest of the business and delivered more than 70% of the company's growth in 2017. AXE commissioned this research as part of an ongoing collaboration with Promundo to determine the impact of harmful masculinity in the US, UK, and Mexico – and to encourage society to join us in promoting a progressive view of masculinity. AXE is committed to this effort because breaking out of the Man Box isn't something that guys can do alone. It's something that involves everyone working together to change society's narrow views about masculinity.